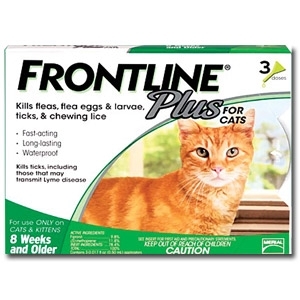 Protect your feline friend with Frontline® Plus for Cats. This spot-on cat flea treatment provides a fast, effective and convenient solution for eliminating and preventing pests for kittens and cats. Frontline® flea and tick control for cats targets fleas and ticks that can carry and transmit serious diseases to your pet and into your home. Single Size - 3 Dose. Frontline® flea and tick control for cats targets all lifestages of fleas and. Once all fleas and ticks (everything eggs to adults) are eliminated, Frontline® cat flea treatment provides long-lasting protection for your pet. 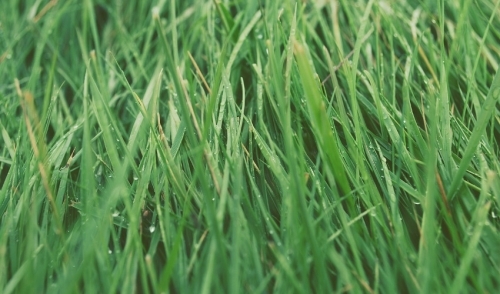 The active ingredient that kills adult fleas and ticks, fipronil, is dispersed across the skin and coat to prevent recurring infestations for a full 30 days. Re-dose your cat monthly to maintain continuous, effective protection against harmful pests.